I love the language, concept, illustrations and, well, everything about this book. 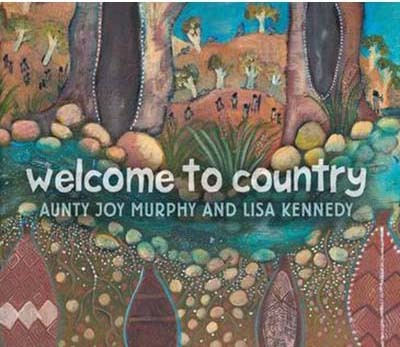 Welcome to Country, written by Wurundjeri Elder, Aunty Joy Murphy, is an illustrated welcome to the lands of the Wurundjeri people, the traditional custodians of what is now Melbourne. This book, which highlights the Wurundjeri people’s rich culture and love for Country, is a terrific introduction to Aboriginal and Torres Strait Islander culture. Written in English with a smattering of Woiwurrung Ngulu language and filled with vivid illustrations, this book belongs in every child’s collection. It is simply a beautiful and important book.